Get the complete festival experience by camping on the banks of the beautiful Colorado River at Waterloo Music Festival. 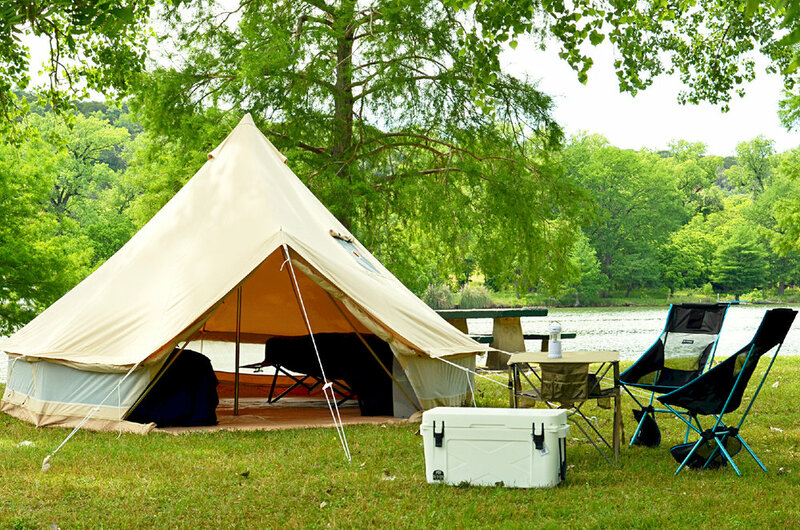 Pitch a tent, relax at Carson Creek Ranch, and enjoy the weekend with family and friends. Carson Creek Ranch is one of the oldest existing ranches in Texas, comprising of over 60 acres separated by Carson Creek on the banks of the Colorado River. 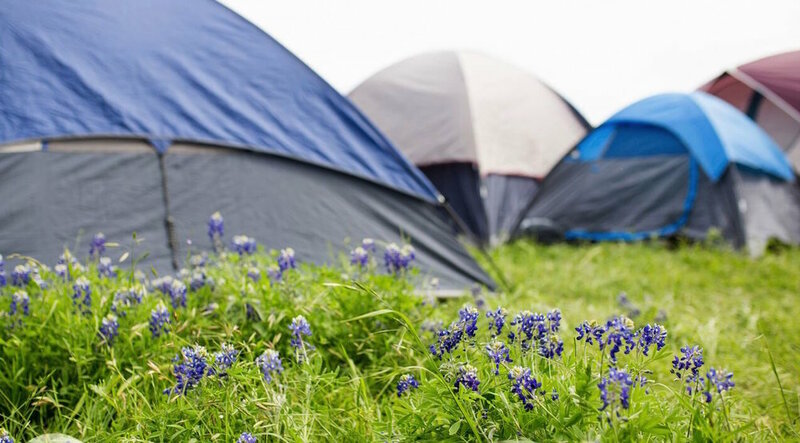 The festival is a short 5 minute ride from Austin Bergstrom International Airport and ideal for international guests, and is only 20 minutes by car or taxi from downtown Austin. Treat yourself with a Glamping tent rental, offering the ultimate ease and comfort in camping. Backwoods Adventures is bringing two beautiful glamping packages to Waterloo Fest: Headliners and Opening Acts. Pick your package and get glamping! Treat yourself with the ultimate tent rental Waterloo Fest and Backwoods Adventures have to offer. Enjoy a European-style Bell tent in a reserved luxury camping area, complete with air conditioning, tent setup and breakdown, a 24/7 dedicated concierge desk, and 1 free Car Camping Vehicle Pass. 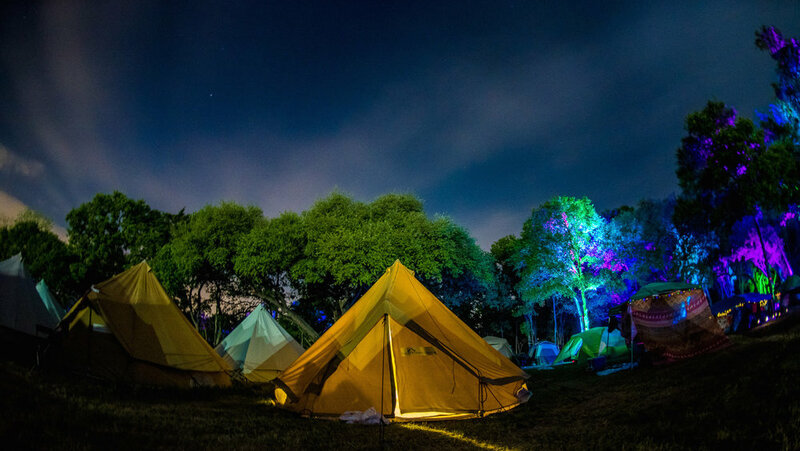 Get your glamp on with a next-level tent rental by Backwoods Adventures. Enjoy a Nemo Dark Timber tent in a reserved luxury camping area, complete with tent setup and breakdown, a 24/7 dedicated concierge desk, and 1 free Car Camping Vehicle Pass. Grab one of our RV spots in the campgrounds! Offered with (30A or 50A) electrical hookups, or without hookups for a discounted rate. Our RV camping is seamlessly integrated with the Waterloo community, so you can camp with the Waterloo family from the comfort of your home-on-wheels. Drive in, post up for the weekend and enjoy! Stay tuned to our social channels for updates on hotel shuttles to-from airport and festival grounds and additional details.